← Item of interest: www.jalopnik.com ran a similar story about the Brasilia today. Let’s face it, an automotive blog hasn’t really arrived until it features a Vega. 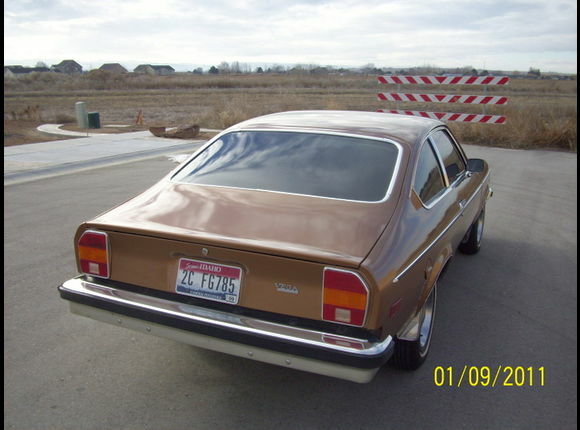 The Vega is one of the most noteworthy American cars ever built. It was Chevrolet’s answer to the increasing popularity of economical Japanese cars. This 1976 example has survived in its original form for 34 years. Click it for more about this import fighter! For years, American automakers had dismissed import buyers as the fringe, as oddballs who were going to make up such a small portion of the total market that they could be ignored. Finally, in 1969, foreign cars made up 13% of all sales in the U.S. Something had to be done, and it turned out to be the Vega. Click that wonderful grille for the ad. 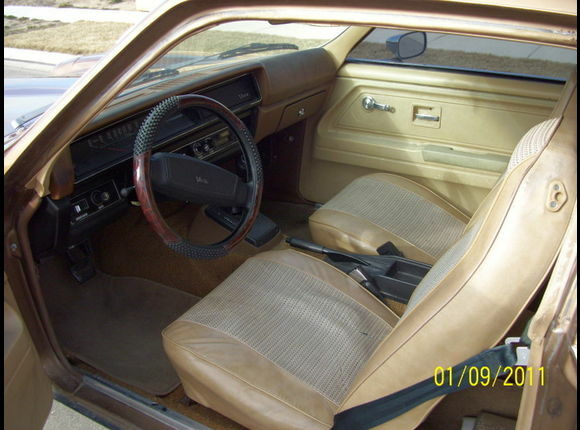 Of course, this particular Vega is a ’76, which was the second-to-last year of production, and features more sloped front grille and smoother taillight area. The Vega and the Camaro from these years share many styling cues. Interestingly, John DeLorean was the CEO of Chevrolet at the time and was in charge of the Vega project. There are precious few Vegas left out there with their original parts intact. Partly, that is because of the quality issues the Vega suffered from. A common misconception is that the all-aluminum engine block was the culprit, but the real reason was its surrounding parts. Chevrolet used a cast iron cylinder head (which weighed more than the engine block), a barely adequate cooling system, and low quality valve seals. So, if it overheated, the head gasket would go quickly. Also, in short order, the valve seals would go bad and the Vega would smoke. Despite all that, they sold 2,000,000 of them (one of those was to my parents in ’73.). A few, like this one, survived, and have turned into something of a collector’s item. They are an attractive little car, and their reputation as one of Chevrolet’s biggest failures adds a bit of mystique. This one, at $4,800, is about $1,500 more than it cost from the factory. Go get this car. At 27 mpg, it will be a cheap fly and drive. Bonus: This 1974 Vega ad is great. Stick with it until the end.